Trainers involved in workplace harassment reaction and prevention will appreciate the depth and richness in this two day course, Workplace Harassment: What it is and What to do About it. 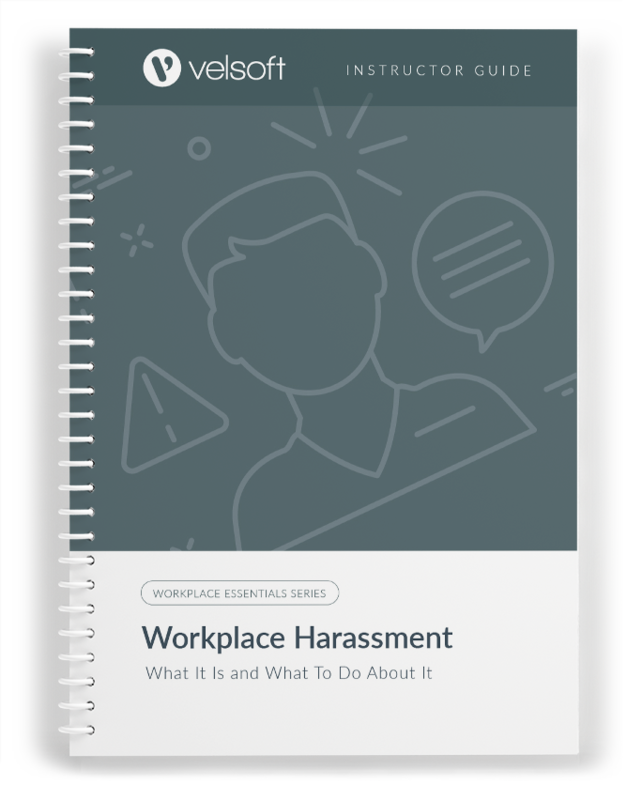 This important course helps employers to meet their obligations in workplace harassment situations, and includes sessions on defining it, establishing workplace policies, the importance of managers’ support in an effective program, how to intervene, handling complaints, and more. Velsoft’s soft skills courses are designed for busy trainers. Our courseware contains comprehensive training materials, including an instructor’s guide, student workbook, pre-formatted slides, and more. All of these tools are straightforward, customizable, and can be easily rebranded to support your training business. If you’re considering blended learning, or eLearning options, we have those too. Contact us, or add this course to your shopping cart and get started right away. 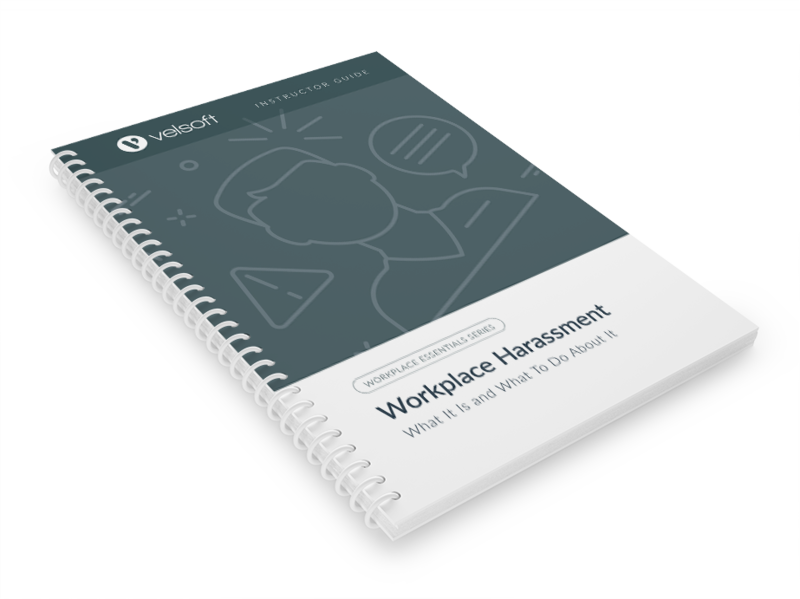 Workplace Harassment: What It is and What to Do About It is one-day course that provides your students with a comprehensive overview of the knowledge and skills need to ensure the viability of businesses in today's world. The course material applies equally to product and service-based enterprises.